Dimming the sky won’t save the world’s harvests. Over the past few years, I’ve heard dozens of scientists talk about solar geo-engineering, the once outlandish idea that humanity should counteract climate change by releasing special gases into the stratosphere to reflect away sunlight and cool the planet. But I’ve never heard it discussed in quite the terms of Jonathan Proctor, an agricultural economist at UC Berkeley. That lion is looking worse and worse. Recently, a surge of academic research has revealed that solar geo-engineering will be anything but straightforward. Solar geo-engineering is now taken seriously at the highest echelons of science: It commands its own research center at Harvard, a serious book from an Economist editor, and a private triennial global meeting. Even as some of its most devoted researchers doubt it will succeed, they add that climate change’s severe consequences may make it a necessity. On Wednesday, Proctor and his colleagues added to that growing literature, as they unveiled the first global economic projection of how solar geo-engineering will affect the world’s crops. Its conclusions, which are not positive, should not inspire confidence in our ability to reverse climate change in a simple way. According to the new paper, solar geo-engineering’s consequences will override its benefits. Proctor and his colleagues find that spraying volcanic gas into the air will reduce global temperatures, aiding crops. But those same gases will also scatter sunlight and reduce the amount of radiation that reaches the surface, hampering photosynthesis. The net effect is roughly nil: Global yields will not emerge from a geo-engineered world any more bountiful than they were before. Solar geo-engineering cannot reverse the worldwide agricultural damage wrought by climate change. The results were published in this week’s edition of the scientific journal Nature. Proctor compared them to a disappointing clinical trial. “If you think of solar geo-engineering as an experimental surgery, then the side effects of the treatment—the changes in sunlight—are kind of just as bad as the original disease,” he told me. But he didn’t want to throw out the idea just yet. “Just because the first test of an experimental surgery had bad side effects for a particular part of the body, it doesn’t mean the procedure should be automatically abandoned,” he said. Proctor and his colleagues were only able to run the test because something like solar geo-engineering has happened before—in fact, it occurred in living memory. In 1991, the Philippine volcano Mount Pinatubo erupted, injecting 20 megatons of sulfur dioxide into the high atmosphere. * Within a few weeks, the sulfate gas—which can reflect away enormous amounts of visible light—enveloped the planet. Eventually, this new layer of sulfate scattered so much sunlight that the planet cooled by roughly half a degree Celsius (or 1 degree Fahrenheit). The sulfates fell out of the atmosphere a couple years later, and climate change continued its steady march. Plants seemed to prosper in Pinatubo’s dimmer, chillier world. Forests, especially, flourished: One study found that photosynthesis in a tract of Massachusetts woods increased by 23 percent on sunny days in 1992, as compared with before Pinatubo’s eruption. Biologists speculated that the volcanic gas scattered the sun’s rays in every direction, allowing more of them to dodge the dense leaves in a forest’s canopy and reach its understory. So Proctor and his colleagues expected solar geo-engineering to boost global agriculture as well. After all, solar geo-engineering is nothing more than an endless Pinatubo: If humanity commits to solar geo-engineering the planet, then it will have to regularly spray sulfate gas into the sky in order to keep a lid on Earth’s temperature. But when the team looked at how agriculture reacted to Pinatubo—and to the eruption of Mexico’s El Chichón volcano in 1982—it found that global crop yields fell, even after controlling for temperature. Global corn yields decreased by 9.3 percent in Pinatubo’s aftermath; wheat, soy, and rice yields fell by 4.8 percent. 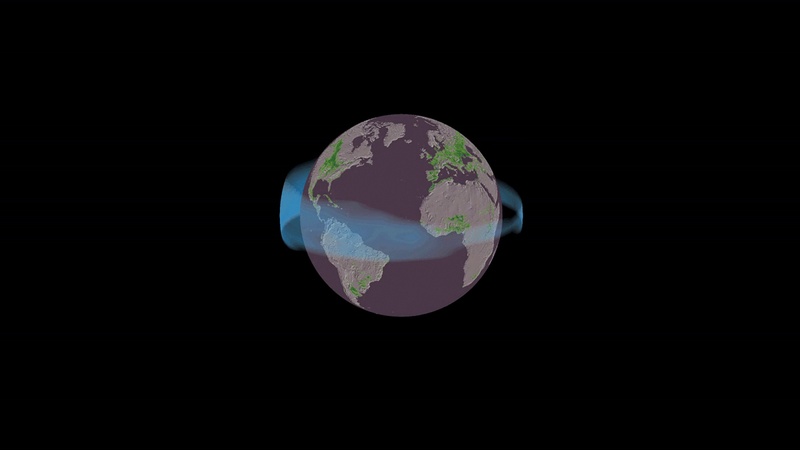 After they isolated these global crop effects, the team added them to a general climate model, projecting Earth’s conditions from 2050 to 2069. They mimicked how crops would fare on dozens of simulated Earths: In some, humanity begins to deploy solar geo-engineering as carbon emissions continue to rise; in others, geo-engineering never kicks in but climate change still continues unabated. What they found was sobering. In the geo-engineered world, maize yields did increase by 6.3 percent due to cooler temperatures (compared with the climate-changed world). But they decreased by 5.3 percent due to the reduction in light. When accounting for a few other side effects of geo-engineering, there was essentially zero benefit. These results held for every type of crop. Solar geo-engineering a warming world has no “statistically discernible effect on yields,” the paper concludes. “I liked that they distinguished between biomass growth and edible yield,” she said. “I think that’s an important distinction.” Previous studies of a post-Pinatubo world (like that inquiry into the Massachusetts woods) had generally found that biomass increased, but few of them had looked at the economically important part of a plant: its fruit. Dagon said there were several reasons why a plant’s overall biomass might increase even as the yield of its edible fruit declines. Perhaps, as Proctor speculated on the phone to me, plants must devote more energy to growing larger leaves in order to capture the same amount of light. They then have less energy to spend on reproduction. Dagon said that hypothesis was plausible. “We still don’t know a lot about how plants allocate their resources and how they balance different stresses, like light and temperature,” she told me. Proctor and his colleagues—who include Solomon Hsiang and Marshall Burke, economists who have studied the climate’s effect on everything from war to national GDP—plan to keep studying solar geo-engineering. What’s needed above all, Proctor said, is more information. “I believe that solar geo-engineering may represent a vital technology for human well-being,” he continued, “but we have to treat it with caution and respect.” Exactly like one would treat a lion. * This article originally misstated the location of Mount Pinatubo.